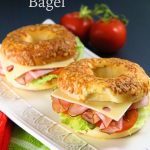 This Asiago Cheese Bagel Sandwich is very easy to make and that is why I could not resist to share this tasty sandwich recipe. 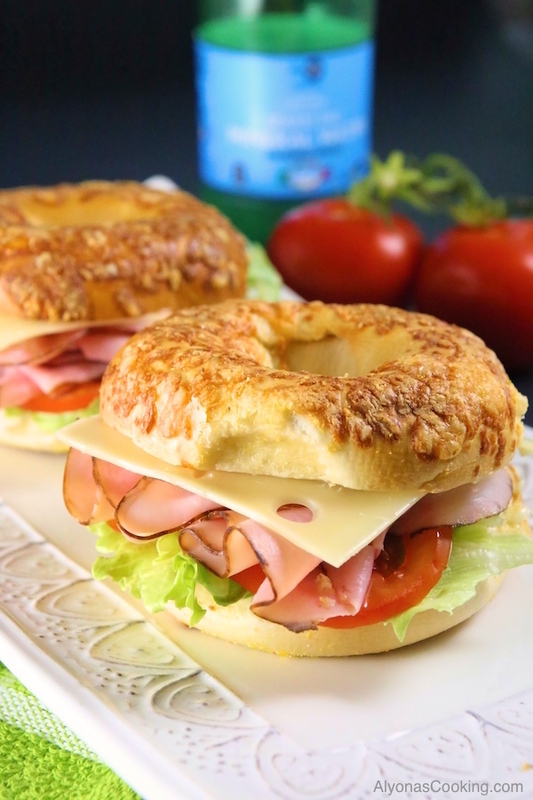 I think the bread of any sandwich plays a huge role in how your sandwich tastes; and in this case the Chewy Asiago Bagel with ham & swiss cheese is the perfect match. 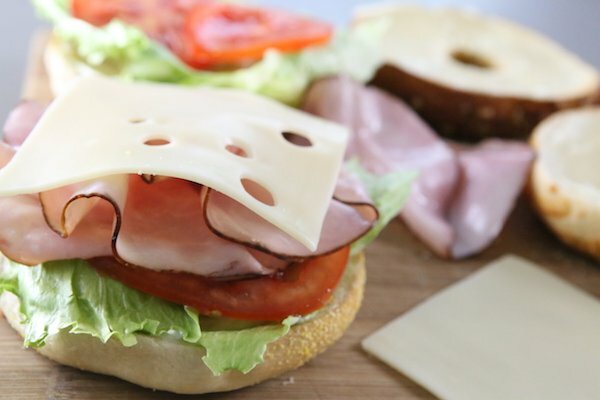 This sandwich is so-ooo good! Okay, REAL good! 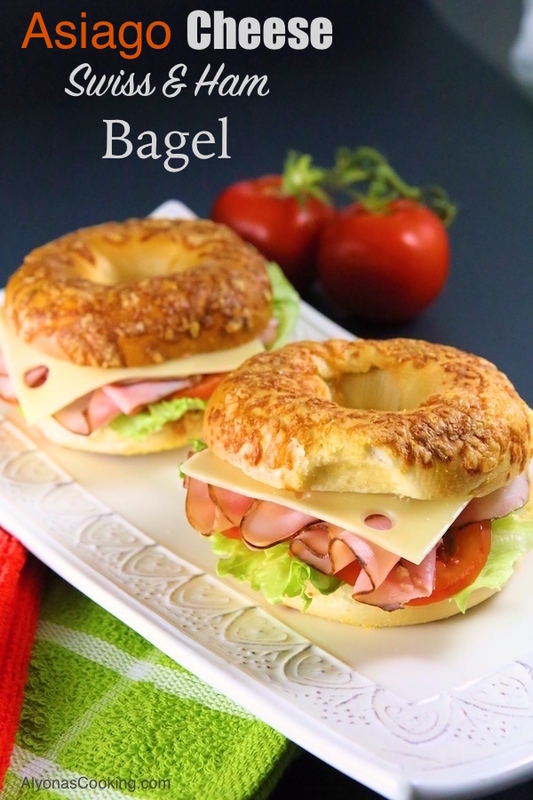 There is just something about a dense yet chewy Bakery style bagel that tastes so much better than the shelf bagels. Believe me, there is a difference! And the good thing is you don’t have to literally go to a bakery shop to buy some, as these All-Natural bagels are sold in the fridge section of Wal-Mart (they actually taste like bakery bagels.) These are perfect for hot summer days and would absolutely make a great catering idea, for bigger crowds. 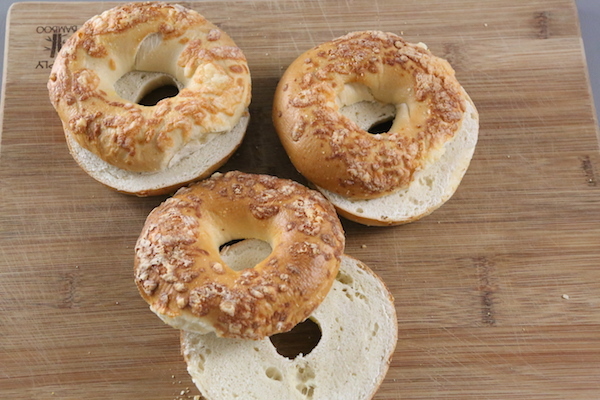 Try this bagel combination and don’t be surprised if you happen to eat two in a row. ? 1. Slice the bagels in half and broil them face up just until softened. 2. 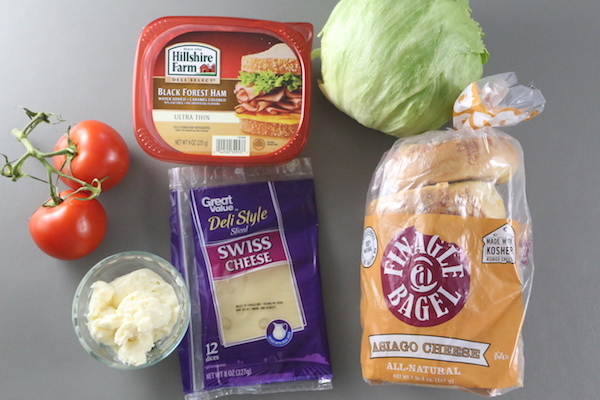 Spread a thin layer of mayonnaise over each slice and top with lettuce, tomatoes, ham and cheese. Slice the bagels in half and broil them face up just until softened. 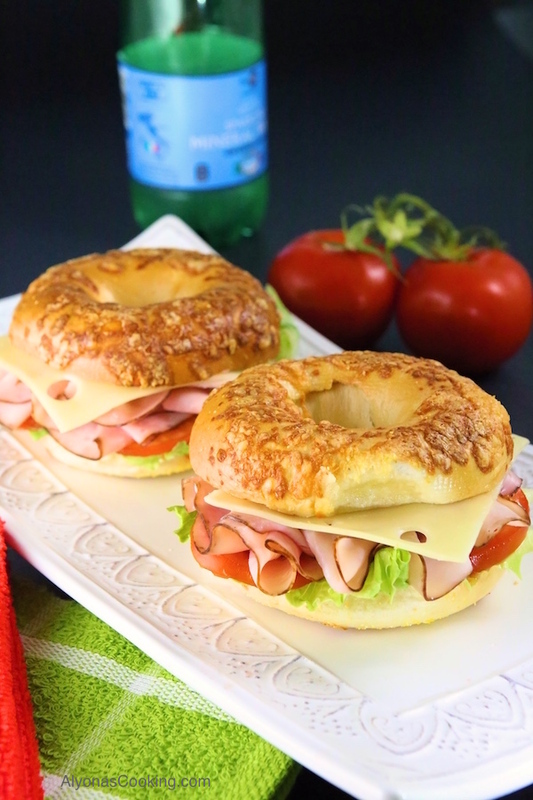 Spread a thin layer of mayonnaise over each slice and top with lettuce, tomatoes, ham and cheese.